How much better it is to get wisdom than gold! And how much more valuable than silver is understanding! Understanding is an unceasing source of living water to him who has it, but fools cannot comprehend its value. Every man with an understanding heart pursues the knowledge of God, for it is not good for a man to be foolish and ignorant of the ways of righteousness. Guard your heart against the influences of foolishness. A little leaven affects the whole lump of bread. When perfume is being mixed, it may lose its sweetness if little bugs fall into the mixture and die. Likewise, a man who is admired for his wisdom and honor loses the respect of others when a little foolishness enters his heart and abides there. The folly of fools is that they trust in deceit and attempt to attain to happiness at the expense of the happiness of others. A foolish man scorns the right ways of God; it is exciting to him to stir up trouble and to cause damage. The very notion that there is such a thing as sin is a joke to those who are foolish. While a prudent man is aware of the coming wrath and escapes it by submitting to the will of God, the unwise man pays no heed to God’s warnings, walks arrogantly on, and is punished. There is nothing that fools understand rightly. God withholds His wrath because He is merciful and longsuffering, not willing that any should perish, but fools confuse God’s patience with permission. When God is silent at their sin, they assume that He is just like them, sanctioning their iniquity. When a scorner is removed from a situation, the whole picture changes. Peace and harmony are restored, and good conduct is no longer ridiculed. One who scorns decency and order is an abomination to good men because his very thoughts are sinful; such thoughts are a detriment to peace and happiness and are hated by the upright. Some fools flatter themselves because of their intellectual powers; they think that wisdom is the ability to comprehend and to pontificate upon exotic and complicated philosophies. What foolishness all of that is! They are blind to the truth that is right in front of them as they strain their intellect to cogitate over abstruse, esoteric thoughts. They stumble over the simple truth and do not even recognize it. Wisdom will open your eyes to see life as the Creator sees it and to learn of Him through what you see; it will enable you to live well and to deal with life’s circumstances in a prudent manner. The wisdom for which the prudent strive is the wisdom to discern the right way to live, for that way alone leads to happiness. They understand that if they deal with their situations wisely, trusting steadfastly in God, the results will be good, and they will be made happy. For this reason, every man with an understanding heart loves righteousness and walks in it. Life is sweet to souls who refuse evil and find the right way. In spite of seeing others blessed for doing good, however, fools cannot bear to depart from evil to walk on the path that leads to true happiness. Fools choose death rather than understanding. No matter how often they are warned, fools would rather be destroyed than learn, and they will be. When a foolish man wanders from the right way, it becomes difficult for him to humble himself and receive correction, even if he knows that death is the penalty for rejecting reproof. And once such a man’s heart becomes hardened, and he becomes scornful toward the ways of God, he no longer can love those who give him wise counsel. Instead, he goes to other fools for his advice because he knows what the wise will say, and he doesn’t want to hear it. A fool can neither appreciate nor use wisdom. That is why, when God loves a people, He does not give them fools as their judges. Honor given to a fool is like snowfall in the middle of summer. It is out of place, and even if it comes, it will not last because a fool’s own conduct proves to everyone that he is indeed a fool. Trusting a fool to deliver an important message is like cutting off your feet before running a race. Trusting a fool with any important business is like drinking a cup of damage. Honor bestowed upon a fool is like a loaded gun given to a mad man. To lift a large rock is difficult, and a load of sand is heavy, too, but to bear up under the wrath of a fool who is given authority is more difficult to bear than either. When he feels free to be himself, it is more dangerous to have a fool in your house than a mother bear whose cubs have been taken from her. Under no circumstances will a fool be separated from his foolishness. If you were to throw a fool into a big bucket and clobber him with a sledge hammer until every bone in his body was broken, still, when he recovered from the beating, he would be a fool. God decided to have a Judgment Day, and He created suffering, just for fools. As bridles and whips were made specifically for horses and mules, so rods of correction were created for the backs of foolish people. For all that, however, chastisement does not benefit a fool. Just a word of warning will enter into a wise man’s heart and correct him; just one warning is sufficient to turn him from a wrong path. But even if you beat a fool with a hundred lashes, he will still say and do foolish things. He may for a time attempt to behave wisely, but goodness will not make him happy; he will return to his foolishness, just as a dog returns to his own vomit to lick it up again. Man’s heart is his home, and regardless of how far down a pathway different from his heart a man may wander, he will always return to live as his heart directs. Foolishness is the joy of a fool’s heart; it is his home, and he cannot be content unless he is there, saying or doing something foolish. Do not waste your time trying to guide a fool to the secret pathway to true happiness; wisdom seems foolish to a fool. The mere attempt to instruct a fool is foolishness. Whether you rail on him or laugh at him, you will be frustrated with your lack of success if you contend with a foolish man. There is no such thing as reasoning with a fool. If you quarrel with a fool, you will seem to be just like him to those looking on; yet, there are times when a fool must be opposed. You will learn when it is time to reprove a fool and when it is time to ignore him. A wise son makes his father happy. He is prudent and listens to his father’s instruction, but a scorner foolishly pays no attention to his father’s rebuke and despises his mother’s admonitions. Poverty and public disgrace is God’s reward to a young man who ignores the instruction he is given, but both God and men will honor the young man who obeys his instructors. The final result of rejecting God’s counsel is complete and eternal destruction, but the reward for those who fear God and obey Him is complete and unending happiness. Human nature, unrestrained, is beastly, and the world will fall at the feet of the man crafty enough to give justification for man’s beastly nature to express itself without shame. Still, although it is man’s nature to be arrogant and ungodly, some men choose to obey their Creator and walk in the path that He has chosen. Such men wisely contemplate the ways of the wicked and their judgments from God, and because of that, God directs them around the pitfalls into which they have seen the foolish fall. But no matter how often the wicked observe the righteous as they are led safely past pitfalls by the Lord, they harden their hearts against the truth of God and learn nothing from what they have witnessed. They walk into the very traps they have seen the upright evade. There is no hope for a fool. A foolish man hates instruction; his approach to life is no better than that of an animal. He believes that whatever he thinks is right; he is determined to ignore counsel and to make his own way to happiness. (Every fool trusts his own heart more than he trusts God.) A wise man is willing to change course if he finds that he is on the wrong road; he is humble and eager to hear good counsel and is delivered from death because he listens. No one can truly love knowledge without also truly loving instruction. They who love the humbling experience of being taught are they who truly love the exalted privilege of obtaining knowledge. Why does a fool waste his money on tuition for an education? Does he expect that an education will make him wise? Knowledge planted in the heart of a fool is like seed planted in a barren, rocky desert. Even if knowledge is deposited into his hardened heart, the fool cannot use it rightly. Oh, my son, listen carefully to me. The secret to obtaining wisdom is in knowing how to seek it. Wisdom cannot be found in any evil way. Some men who scorn righteousness strive greatly to become wise, but they will never attain to it. Only those who understand how to seek wisdom will ever find it. A fool may be intelligent enough to learn many facts, but he can never attain to true knowledge, nor can he pass such knowledge on to others. The best a fool can do is to spew out erudite foolishness because the mouth of a fool subsists on vain talk. As a lie is out of place in a ruler’s mouth, so truth is out of place when proceeding from the mouth of a fool. A ruler errs whenever he lies, and a fool errs whenever he tells the truth. A fool’s parable is like a man with one leg shorter than the other. Whatever he is trying to say is either too much or too little. Whenever he tries to be profound, he makes himself look silly. A fool is as clumsy with a parable as a one-legged man on a tight rope. He wounds himself with his own words, as a drunkard who staggers into a thorn bush trying to walk straight. Every man holds feelings and thoughts deep in his heart, but only a wise man knows how to control and use them for good. A fool cannot control himself. Even if he desires to be thought of as wise, his words and actions in every situation loudly proclaim to everyone that he is just a fool. A wise man is a quiet man. In general, people sense that this is true; therefore, they tend to consider any quiet person to be wise. If he remains silent, even a fool is presumed to be a man of understanding. But fools cannot keep their mouths shut. A fool’s multitude of words expose him to be what he is, and he doesn’t even mind, for he is not ashamed of foolishness and has no regard for the value of wisdom. A fool’s voice is recognized by the multitude of his words. He runs his mouth so much that he cannot hear instructions, and then he makes a mess of his life. His words stir up strife where there is none, and he deserves the contempt and harm that come his way. He ruins his own life with foolishness, and afterward he angrily frets against the Lord as if he were mistreated, but a fool’s blabbing mouth is his own destruction; his lips are the snare of his soul. He does not govern his mouth; rather, he submissively follows his own tongue to the slippery brink of hell. My son, foolishness and sin are ever present in a multitude of words. No one can talk all the time without lying. Spare your words, and spare your soul much trouble. A man who possesses true knowledge is a man of few words. He listens and stores up knowledge, and when young men who are searching for wisdom meet him, they find in his lips the wisdom they have longed for. He guides those who are traveling in darkness to the right way, correcting them without humiliating them, healing their lives while avoiding the cruel, sharp tones of proud fools. The soul that takes heed to the voice of a prudent man will in time stand with him in honored glory among the wise. If you discover that an instructor has no knowledge of God, get away from him. Do not be so naive as to think that you can continually listen to a fool’s words without them affecting you. Even if you know that what someone is teaching is wrong, his words can turn your heart from the right way if you persist in drinking them in. Do not be deceived; ungodly associations will corrupt a pure heart. Only a wise man can disperse knowledge of the right path to those who hear him because only a wise man understands how to use knowledge in a way that truly benefits others. The man who disperses true knowledge sincerely loves others, and the man who sincerely receives such knowledge loves himself. But the man who refuses instruction is doubly a fool; he hates himself as well as his instructor. A wise man acknowledges his dependence upon God and remains meek before Him, but pride makes a man stubborn and brings him into disgrace. The wise man also acknowledges his need of help from others, and he listens to instructions. Because he is not proud, he does not bicker with those who admonish him; on the contrary, he humbly receives correction. Correction is like an ornament of gold to a wise man’s soul. And when one godly man reproves another, they both are made richer. Such an example of receiving reproof is a welcome sight to those who are seeking the right way. The first step toward obtaining wisdom is to forsake your own vain thoughts and to humbly and carefully listen to a wise man. The road to happiness is the road of receiving instruction. There is a highway that seems right to man, but at the end of it is eternal death. And there is a pathway that seems wrong to man, but at the end of it is everlasting life. The basic law by which the wise live is “listen and learn”. Obeying this law brings them happiness and protects them from eternal death because every evil doer will perish. At the same time, though counsel is good, and no one will ever find true happiness without it, only a simpleton believes every bit of advice he is given. A prudent man carefully screens all the criticism and counsel that is offered to him. Make every effort from your heart to be teachable; labor to be able to hear and to grasp sound instruction. 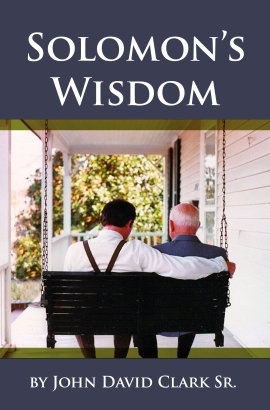 Take counsel when you need it, so that as you grow older, you will also grow wiser. When that begins to happen, words of wisdom will seem pleasant to your soul, and in not too long a time, your lips, too, will be able to instruct others in the wisdom of God. Those who will not receive correction are making a terrible mistake; they are on the wrong road, and they will never find true happiness. The ear of a wise man seeks for truth and knowledge, and his heart seizes upon it when it is found. But good counsel is not easy to find. It is like cool, clean water hidden deep in the heart of the wise, but those of an understanding heart will find ways to draw it up. A foolish man babbles on and on about everything he knows (or thinks he knows), but a prudent man keeps his knowledge to himself, for wisdom in a man’s heart is content to rest there quietly until someone comes who is sincerely and earnestly looking for it. But there is nothing in the heart of a fool that remains unknown for long. A fool blurts out whatever he is thinking, but a wise man refrains his tongue until it can do some good. The tone of your voice signals to others your attitude toward instruction. By using a gentle, humble tone, you invite the wise to give you guidance. Arrogant young people speak sarcastically about instruction, as if instructors are their enemies. How foolish that is! Their greatest enemy is their own ignorance, and instructors are there to help them escape it and to find the hidden pathway to happiness. They hate anyone who attempts to correct them, as they swagger confidently onward toward the Pit. Wise young people understand that instructors are God’s servants, sent to help them find the right way. They fear God and do good; they speak respectfully to those in authority over them and avoid a thousand heartaches. You show yourself to be wise when you instruct your lips to speak humbly, and the wisdom you then receive from others will soon proceed out of your own mouth. A wise man sees through this world’s delusions, and he fearlessly exposes them as powerless to bring eternal happiness to anyone. A wise man has true strength, the kind that only increases with age. His wars are never lost because they are never fought hastily or without wise counsel. He understands that in much counsel there is safety, and by taking wise counsel, he is assured that all his efforts are guided by the knowledge of God. At the beginning of any significant endeavor, bow your ear to the wisdom of righteous men. No endeavor will fail when the guidance of a multitude of wise counselors is received, and no endeavor can succeed when the counsel of wisdom is refused. Everyone who makes ill-considered decisions is on the wrong road because righteousness comes from both listening to the upright and patiently following their counsel. Every man who refuses to heed wise counsel will fail in his pursuit of happiness. Happiness is found only in the well-advised way. When God’s glory and power overshadow a man, he may stagger and even fall prostrate upon the ground. Drunkenness can cause a man to act in a similar manner, but that is just a mockery of the overwhelming glory of God. All sin is a mockery of God’s glory. The world promotes sin to young people as a short cut to happiness, but those short cuts have never brought lasting happiness to anyone. You can either trust God for a spouse and rejoice with her (for the marriage bed is undefiled), or you can take the world’s short cut to happiness: fornication. But doing so will not make you happy. You can work hard and honestly and save your money, or you can take the world’s short cut and steal from others in order to have money for food and clothing. My son, take none of the short cuts offered to you by this perverse world. There is only one road that leads to happiness; all other ways end in confusion, sorrow, and death, though they are trusted by many as sure and easy ways to happiness. Submit yourself to the glory of God and be filled with His Spirit; do not resort to the world’s substitutes for His glory: blissful drunkenness. The passions which strong drink sets afire are short-lived, and the deeds done in that state are always regretted. Nobody but a fool pursues such shallow, delusive experiences. Take no short cuts! A fool perishes because he lacks knowledge, even though while he lived, he was surrounded by righteous men who openly proclaimed the truth, but the son who receives reproof will become a man of understanding. The world has honored many a fool as being a man of great understanding, but a man of understanding walks in the way of wisdom. Be patient; do not let such events fret you. In time, every fool becomes servant to the wise. And in time, the wise shall be justly commended and forever blessed by the Blessed One while the perverse shall be forever held in contempt by Him. My son, it is not honorable to be honored by those who dishonor God, and praise from the perverse in heart is a reproach. Flee from the favor of fools, and seek earnestly the honor that comes from God alone. A man who walks with wise men will himself become wise, and the man who keeps company with fools will be destroyed with them after a while. A fool inherits foolishness from the fools who went before him and feels blessed to have inherited it, but wise men bequeath to those who follow in their footsteps the high honor of possessing the knowledge of God. This is the enduring wealth of wise men, a crown which the prudent desire and obtain, but the treasure of fools is their foolishness. The wise man’s spirit is of a superior quality to the spirits around him. He understands that eternal life comes only from above and that, in pursuing the higher life, he will escape the damnation of hell. He longs for wisdom, dedicates his heart to it, and separates himself from those who do not want it. And because the wise man understands this, God’s favor rests upon him; he is admitted into God’s storehouse of wisdom and is enamored of its beauty. Because he adheres to the understanding he receives, he is blessed with eternal happiness. The knowledge and the counsel I am giving you is superior to anything you will find on earth, and I am telling you these things for three reasons. First, so that you will not place your trust in things that can never make you happy, but that your trust might be in God, who alone grants eternal happiness to good men. Second, that you might be certain of what is right and wrong. And third, that you might be able to give to others the truth that I am giving to you. When you have attained to wisdom, my son, you will enjoy it as you do the taste of honey. It will be difficult for you to find enough of it once you have learned its value, for you will know within your heart that the knowledge of wisdom will not disappoint you and that it will without fail guide you into everlasting happiness.